Please join us at 11:45 am this Thursday, April 11 at Baja Cantina in Sequim. Our speaker will be Jeff Bankston of KSQM. Jeff will speak about KSQM's role and responsiblities as our local radio station, especially during an emergency event. 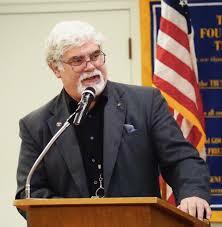 If you'd like to hear Jeff but are unable to attend in person, please join us by opening the Go-To-Meeting app/program on your electronic device and log into Sequim Rotary. You will be able to interactively listen, see and converse and be seen by all members in attendance. The public is welcome to attend.